Ten Seconds That Prove You Should Never Underestimate A Non-Verbal Autistic Child. People don’t expect much of my son. 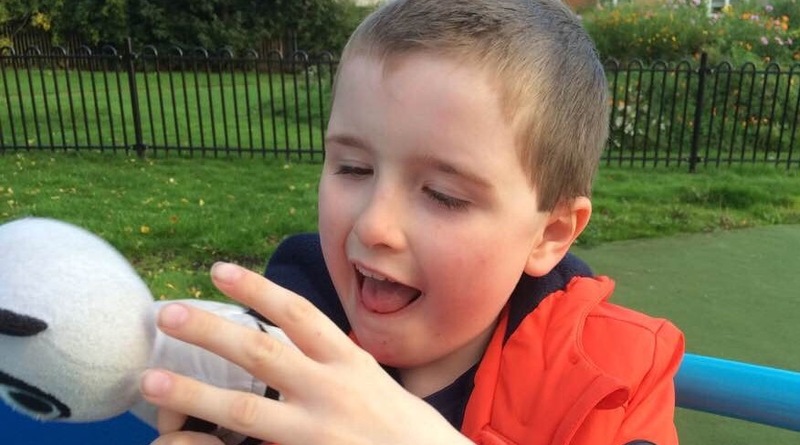 The learning difficulties mental health team wrote to us explaining his challenging behaviour and long spells of screaming are just part of his complex diagnosis and are unlikely to change. The public looks down on him in distaste. Children his own age mock him in parks and soft plays when they see he can’t talk and is still wearing nappies. Even as his mum I sometimes find myself wondering what the future holds. It is easy to understand why. My son has a long list of diagnosis all of which are life-long conditions. He development is years and years behind what is ought to be and he requires support for all his personal care. He is a non-verbal severely autistic 8 year old who is still very much living in his own world. Well that is what I thought too. That is until I happened to turn my iPad video recorder on this evening while he was playing with his iPad. What I captured changed everything. He clicked on the search button and within seconds he pressed the ‘i’, quickly followed by ‘s’, then without hesitation he pressed the ‘a’ right beside it twice, before pausing for a few seconds then finishing his search with a ‘c’. In total it took less than 10 seconds for him to prove you should never underestimate anyone! He just typed out his own name and I had no idea he even knew it let alone how to spell it! The speech therapists may be right about him not speaking but he clearly understands far more than they realised. School thought he would never be able to read and write…well he may not be able to hold a pencil cold but he just wrote his name using a keyboard on an iPad so who know what else he may be able to type? The learning difficulties health team may be right about his behaviour being part of his comprehensive and complex diagnosis but what if so much of it is frustration at understanding but unable to communicate back? Maybe this ten second video may help the public see that you can not judge anyone by lack of speech or lack of eye contact or lack of social skills. It only took my son ten seconds but in that ten seconds he has proved to so many that we must never, ever underestimate anyone, especially those with non verbal severe autism. Does my son still have difficulties? Absolutely. Should I ‘not expect too much of him’? Never! Behind the flapping, you tube on repeat, screaming exterior is a brain hard at work piecing things together in his own way in his own time. People don’t expect much of my son: I do. He just showed me why.